Mrs Armitage sets off for a quiet cycle with her faithful dog, Breakspear, but she just can’t help thinking of ways to improve her bicycle. Before very long she has added three very loud horns, a bucket of water to wash her hands, a complete tool kit. 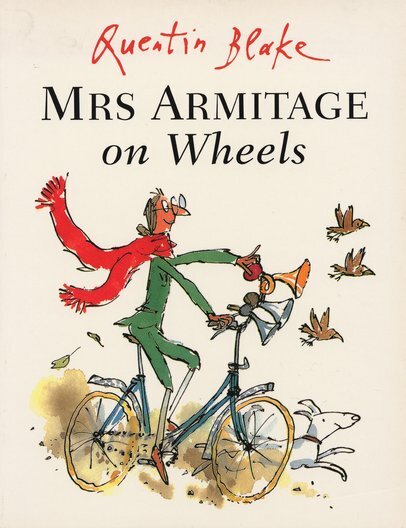 And by the time she has also added a seat for Breakspear, two umbrellas, a cassette player and a mouth-organ, Mrs Armitage is riding a very eye-catching contraption. But it is when she finally adds the mast and sail, that Mrs Armitage really runs into trouble. . .